This state is one of the most restrictive states in the Union when it comes to the online Louisiana gambling industry. However, the Pelican State is home to a number of brick and mortar gambling establishments. This includes enterprises on tribal lands, land-based casinos as well as riverboat casinos located within the Louisiana territory. The state also has four horse and greyhound racetracks that contain slot machines. Aside from the casino and racetracks, the state of Louisiana does not allow many other forms of gambling. Although there is federal legislature defining both online fantasy sports betting as well certain online gambling platforms as games of skill, the Pelican State does not approve the forms of gambling over the Internet. Many residents instead seek online action illegally, turning to offshore sites and underground establishments. With the state bringing in significant amounts of tax revenue from its brick and mortar enterprises and residents breaking the law to gamble, Louisiana lawmakers are looking to expand gambling options over the web. In the meantime, residents can still get a piece of gambling action through certain legal wagering platforms online. What Types of Gambling is Legal in Louisiana? Residents searching for casino-style gaming including slots and popular table games such as blackjack and poker will have to commute to one of Louisiana’s gambling establishments. The state only allows Louisianans to make pari-mutuel wagers online through some sites that hold licensing and contracts with almost every US track. The state should be legalizing online fantasy sports betting sometime soon. However, the state stands against federal law and outlaws the popular sports gambling alternative as well wagering on any other games of skill. Offshore sites may seem like a good way to get some gambling thrill, but they are not safe or reliable to play. Foreign sites offer their services to US citizens even though they do not operate within US borders. Ultimately, offshore sites do not operate within US jurisdiction, so an American player is never guaranteed fair play and can never be sure that they will walk away with their winnings. It is illegal to play on offshore sites in the state of Louisiana. The state of Louisiana has a particular law outlining foreign play under State Statute 27:201. “Gambling by computer is the intentional conducting, or directly assisting in the conducting as a business of any game, contest, lottery, or contrivance whereby a person risks the loss of anything of value in order to realize a profit when accessing the Internet, World Wide Web, or any part thereof by way of any computer, computer system, computer network, computer software, or any server.” Breaking Louisiana State Law for gambling is subject to a misdemeanor offense with a penalty of $500 and up to six months in prison. 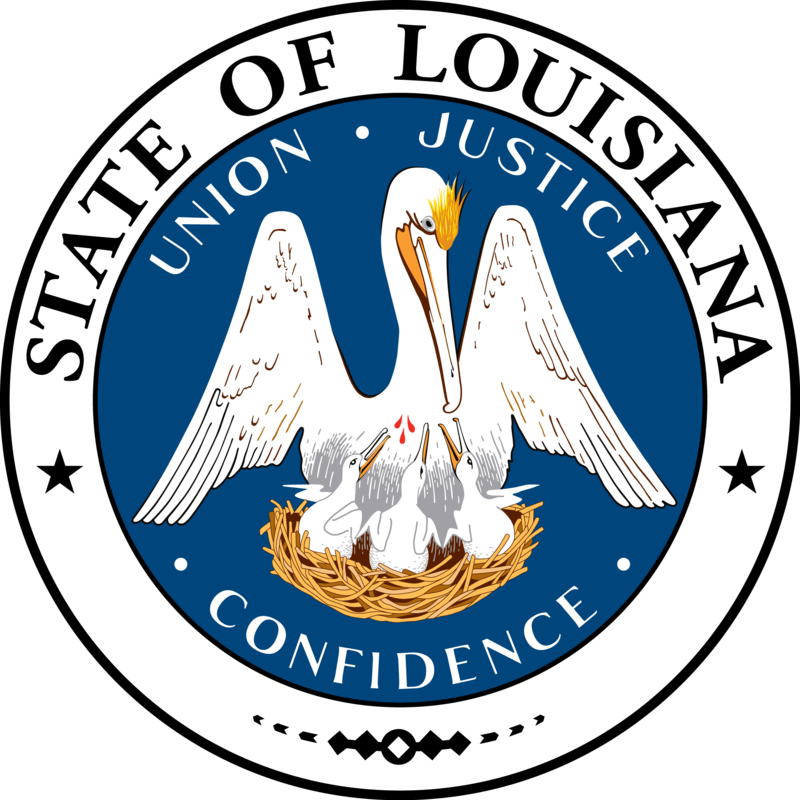 Online poker is not currently legal in the state of Louisiana. However, the popular table game can be found in Louisiana’s land-based casinos or riverboat casinos. Also, Louisiana lawmakers are considering a bill proposed two years ago. Bill HCR3 outlines the positive benefits of further regulating casino-style gaming over the Internet. Not only does the bill mention a large impact on gambling tax revenue, but it also explains the current situation of residents looking to illegal offshore sites to seek gambling action. There are many variables that go into licensing an online gambling enterprise, such as regulation and law enforcement. The state of Louisiana will have to face a few legal hurdles before it can officially expand gambling online. The Pelican State does not manage, regulate, or legally license any form of traditional sports betting. The state follows federal law in the regards to banning any betting on offshore sportsbooks as well as underground enterprises. The federal statutes stand under the Federal Wire Act of 1961 and the Unlawful Internet Gambling Enforcement Act. Residents should be careful as the state of Louisiana considers placing a wager on an illegal sportsbook a crime punishable with six months in prison and a $500 fine. Sports enthusiasts can still find some sports gambling action through horse and greyhound racing. Not only does horse and greyhound racing prove to be just as exciting and entertaining, but it is also 100 percent legal in the state of Louisiana. Louisiana has fifteen land-based horse and greyhound racing establishments within state borders. Four of which are racetracks that host live events every year, and the other 11 are places you can place wagers with in person. A number of the racing establishments also have slot machines. All racing facilities are overseen by the Louisiana Racing Commission, which manages, regulates, and maintains the gambling process. However, if a resident wants to bet on horse races online, they can legally do so in the comfort of their own home. Louisiana authorizes a number of sites that operate on US soil to allow residents to make pari-mutuel wagers anywhere they want. The sites hold proper licensing with every possible racing track in the country as well as many other tracks around the world. Modern technology enables racing enthusiasts to stream their favorite horse and greyhound racing events on the go with the ability to place wagers from virtually anywhere. Unlike offshore sites, these platforms operate under US legal jurisdiction so guarantee fair play as well as full payouts. 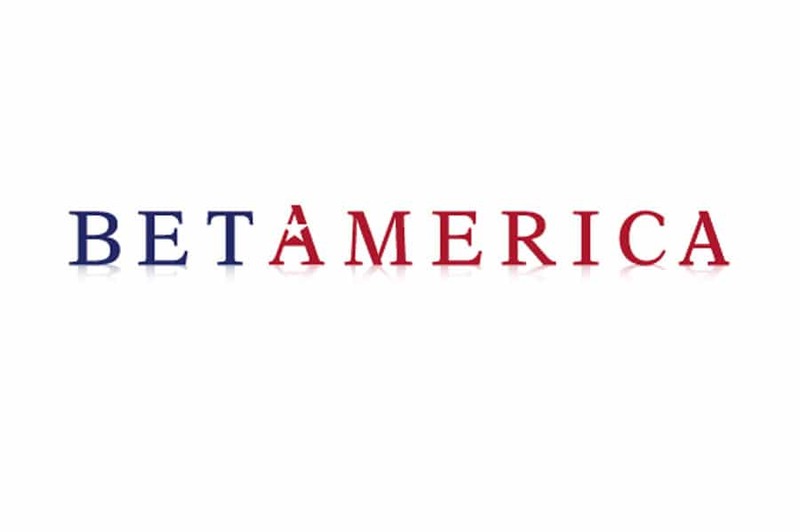 BetAmerica is the largest online racing platform in the nation. The site is very user-friendly, allowing members access to hundreds of events for every type of horse and greyhound racing. Get helpful tips and advice 24/7 for all of the upcoming events. The new BetAmerica mobile application is now allowing members to stream live races on the go from any device with an internet connection. Join the BetAmerica Community today and you will receive a cash bonus matching your first deposit for up to $200. Twinspires is another powerhouse site in the horse and greyhound racing industry that gives users an overall great experience. Twin Spires keeps its members up to date with all of the latest news. The interactive features on the site allow members of all experience levels access to helpful handicap information for their favorite races. Join now as a new member to receive real cash bonuses. TVG stands as one of the most influential and leading sites in horse and greyhound racing. The company also has a widely popular television network that broadcasts racing in over 33 million American homes. The site also hosts a significant number of tournaments and events that provide charity support for the horse and greyhound racing industry. New members receive a signup bonus when joining TVG. The state of Louisiana does not presently allow residents to gamble through online fantasy sports betting. However, the Pelican State is not very far from legalizing the popular new sports gambling alternative. The new trending game has over 57 million participants partaking in at least one fantasy sports league. Online fantasy sports betting became legal on a federal level in 2006. It was exempt from the Unlawful Internet Gambling Enforcement Act through a US congressional decision to see fantasy sports betting as a game of skill. Although the online gambling option is legal in almost every state in the Union, Louisiana still considers the sports gambling hit to be a game of chance. With the ability to uphold state law on the matter, lawmakers would need to present a house bill for discussion on amending the current law banning fantasy sports. With many residents choosing to risk playing on offshore sites, perhaps there will be a change sooner than later for the future of Louisiana’s online gambling options. The state of Louisiana does not authorize or license any casinos over the web. Louisiana is one of the only states that does not permit its residents to wager on games of skill either. Although the interactive puzzle games prove to rely more on a player’s knowledge than chance, the state does not allow any form of gambling over the web. The only exemption is online pari-mutuel wagers through horse and greyhound racing sites. For now, residents must choose to commute to a brick and mortar establishment to seek casino-style gaming. Louisiana does happen to be one of the most anti-online gambling states when it comes to state law. Although there are gambling platforms that hold federal licensing, Louisiana does have the right to refer to state law on the matter. With so many US citizens enjoying online fantasy sports betting and online skill games, it does not seem like it will take long for the Pelican State to jump onto the Internet gambling train. Hopefully, lawmakers will look to bill HC3R for the regulation of a possible online expansion in Louisiana’s gambling industry. Until there are more gambling options, residents should still choose to gamble within the confines of state law. Stay away from offshore sites and all other forms of illegal gambling. Remember your limits, and to enjoy your gambling experience. Have fun and good luck!